I based my woodcut design on this recent work: Ghost Scroll, cut and painted,mixed media, 3′ x 4′. Judith Joseph, 2014. Sometimes invitations that appear in my inbox are too tantalizing to hit “delete”. About six months ago, I received a “Call For Artists” for an event called “Really Big Prints” in Manitowoc, Wisconsin. 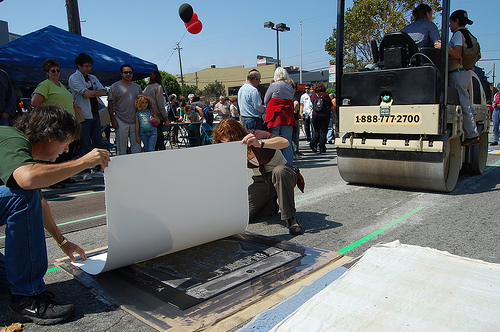 It was described as an opportunity to create a huge (3’x 5′) woodcut print and have it printed by a steamroller! The thought of seeing a steamroller re-purposed as a press to create huge works of art was irresistible. Being inexperienced as a woodcut artist, naturally, I jumped at the chance(!) I conferred with my experts, who were generous with their knowledge and time: Ellen Holtzblatt, who makes exquisite woodcuts; and Alex, the owner of McClain’s Printmaking Supplies. The event requests that each artist (there will be 45 working over 5 days) create an edition of 4-5 prints and donate one copy to the Rahr-West Art Museum in Manitowoc. I did the drawing and carving in 3 1/2 days. My cutting marks improved as I got a feel for the tools, and gained some fluidity and expressiveness. The final day I started at 10 a.m. and finished at 8 p.m., and didn’t feel the day pass by. Carving is wonderfully addictive; what a joy to lose myself in work that way, and have the calluses on my hands to show for it. I will post again after the event, with photos and videos. “Fractured Yet Rising” is a juried multi-media exhibition of works on the subject of violence against women. 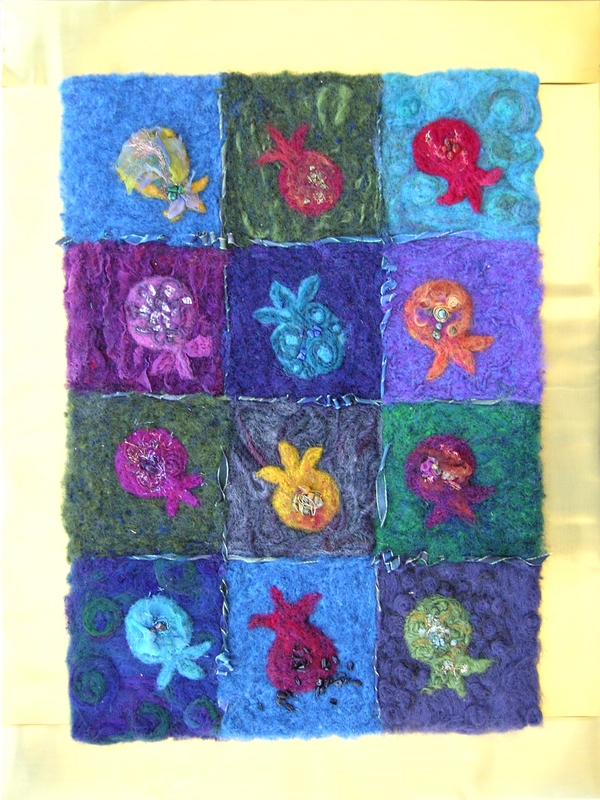 In addition to works submitted by artists, the artist-members of ARC, a women’s co-op gallery, worked with residents of a domestic violence shelter on collaborative pieces, giving voice to their experiences. Dates: March 5-29, 2014. Details here.